The billionaire bromance between Bill Gates and Steve Ballmer fell apart, like many of today's relationships, because one of them spent too much time on smartphones. Ballmer, the former Microsoft (MSFT) CEO, revealed this week that his "brotherly relationship" with Gates was strained in part by his push to invest heavily in tablets and smartphones. "I think there was a fundamental disagreement about how important it was to be in the hardware business," Ballmer said in an interview on Bloomberg Television. "Things came to a climax around what to do with the phone business." After writing off the iPhone's potential when it launched in 2007, Ballmer pushed Microsoft to play catchup in late 2013 by buying Nokia's phone business for $7.2 billion. Microsoft later took a massive $8.4 billion write-down from this acquisition and laid off thousands of employees in an effort to unwind its smartphone hardware business. The decision to buy Nokia and also launch the Surface tablet line received some pushback from Microsoft's board -- and apparently its founder. "He and I kind of have always had what I would call a brotherly relationship in the good parts and the bad parts," Ballmer said in the interview. "And I just think toward the end that was a bit more difficult than not, particularly with the strategic direction change." Bill Gates (left) and Steve Ballmer at a press conference in 2000. Ballmer officially retired from Microsoft in early 2014 and was replaced by current CEO Satya Nadella. Since then, he and Gates have "drifted apart." "Microsoft was kind of the thing that really bound us," Ballmer said. 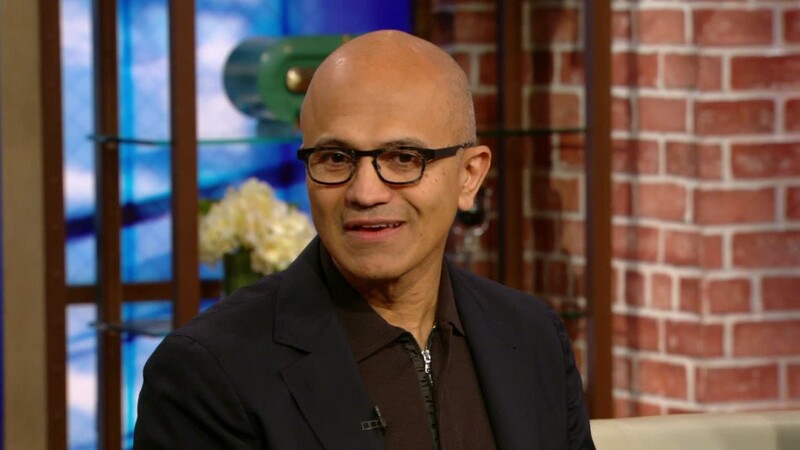 "We started off as friends, but then really got quite enmeshed around Microsoft. Since I've gone, we really have drifted a little bit." 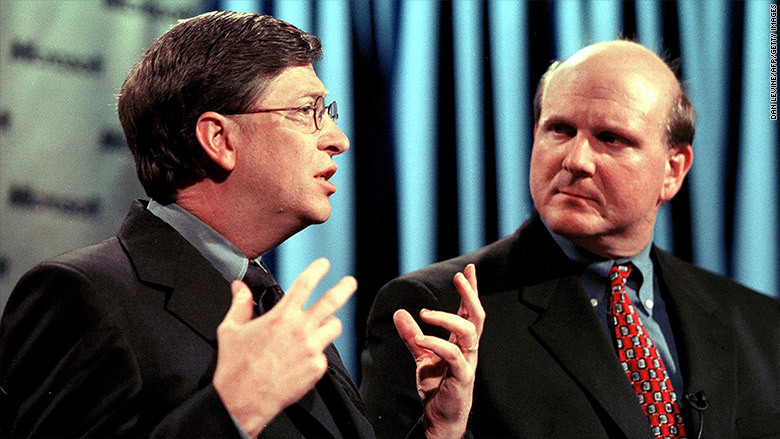 Gates and Ballmer became friends while attending Harvard in the 70s, studying and watching movies together. "We went and saw 'Singin' in the Rain' and 'A Clockwork Orange,' which are only connected by the use of a common song," Gates once said. "And then we got to be super-good friends." Ballmer joined Microsoft in 1980 as its 30th employee, five years after Gates founded the company with Paul Allen. Ballmer started as a "business manager" and became Microsoft's president in the late 90s. He took over as CEO when Gates stepped down in 2000. In recent years, there have been rumors that the two men no longer speak, but Ballmer previously shrugged off the situation. "We've dusted-up in our lives many times," Ballmer said in a 2014 interview when asked if he is on good terms with Gates. "That kind of stuff happens. We've done that before." Gates now spends most of his time with the Bill & Melinda Gates foundation and advises Nadella at Microsoft on the side. Ballmer now owns the Los Angeles Clippers, not to mention a big chunk of Twitter.